Systems Thinking has great power in solving complex problems that are not solvable using conventional reductionist thinking. It can help to explain non-linear behaviors like market reactions to new product introductions or the spread of disease; to understand complex socioeconomic problems such as the effects of charter schools or legalized gambling; and to understand the seemingly illogical behaviors of individuals and organizations like ISIS. 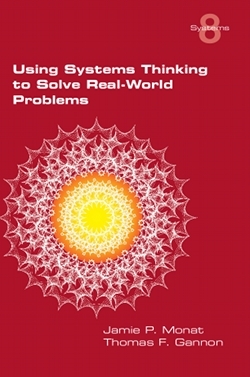 However, there is no step-by-step procedure that has been established to facilitate the use of Systems Thinking in solving real-world problems. We hope that this handbook fills that gap and that the tools and approach provided herein facilitate the use of Systems Thinking in addressing systemic issues of interest to you, whatever they may be.